This trick involves your dog going around any obstacle on command this can include the sofa, car or even a lake on a walk. To teach this trick you need to begin small. Your target stick may come in handy here and begin by leading your dog around a box or chair with the stick. When he gets halfway around the obstacle simply reinforce the action and reward your dog as he gets back to you. Add the command word and gradually stop using the target stick whilst simultaneously bringing the command forward. Vary the obstacle and practice the command. Top tip; when you no longer use the target stick you can offer a hand signal to assist your dog around the obstacle. Dog trainers love this trick because it’s original and fun. This trick is great to fool unsuspecting visitors as your dog will lift his paw into the air feigning injury. The idea of this trick is to reinforce your dog holding one front paw steadily up in front of him. Have some treats ready and ask your dog to sit. One of the first behaviors that your dog will offer is a paw. This offer is great, but because he will probably swipe you with it you need to encourage more gentle consistent elevation. Ignore the swipe and only offer reinforcement if the paw is held still in the air. This stillness needs only be for a split second initially because it gives you something to work on. Timing needs to be perfect if you are to pinpoint this tiny pause. Now gradually withhold your reinforcement, add the command word and shape your dogs behavior until he holds his paw in the air whilst looking beseechingly towards you for his treat. Top tip; Keeping your dog as calm as possible whilst teaching this trick will help him to focus. Dog trainers love this trick because dog and trainer can work as a team to provoke a sympathetic reaction from any onlooker. This trick teaches your dog to lie on the ground and put his paw over his muzzle as if ashamed or in trouble. This trick should be easy to teach if your dog knows how to touch his nose. Ask your dog to lie down and give him the command for touching his nose. When he attempts this use reinforcement and reward to encourage him to repeat the position. Add the new command word and practice by shaping with pointed reinforcement until your dog can get into and stay in the position. Top tip; by withholding the reinforcement and reward you will be gently guiding your dog to adopt and hold the position of this trick. Dog trainers love this trick because it looks extremely cute and takes some concentration to train. This trick consists of your dog lifting his paw and touching his nose on command. To teach this quickly you can utilize a post it note or other sticker and pop it onto the size of your dog’s muzzle. Ask your dog to sit and just watch his reaction to the sticker. When your dog lifts his foot to try and remove the sticker use reinforcement and reward the action. Add your command word and repeat until you can remove the sticker and your dog touches his nose on cue. Top tip; Use reinforcement for the action at the exact moment your dog touches his nose. The correct timing will help you to train this trick really quickly. Dog trainers love this trick because it is another trick that offers the suggestion that your dog speaks your language. Bang is fun, cute and universally entertaining. The dog shot by an imaginary gun drops to the floor and plays dead for an audience. When your dog is lying down on his side reinforce and reward the position, add the command word. Practice until you are sure that your dog knows that this is the position he needs to be in when the command is given. Now pretend to shoot your dog and give the command, he will immediately fall into the laying down position which will give the impression that he’s been shot. Top tip; after practicing leave the final reinforcement and reward until the dog is lying still and this will give the trick a neater finish. Dog trainers love this trick because when well- practiced it looks great and is also easy to teach. Get busy is an extremely useful trick because this is the act of toileting outside on command, which will help you extensively when short of time on walks. Each time your dog toilets on walks reinforce the action and reward him. Add the command word and gradually bring it forward to encourage quick toileting. Top tip; this trick should only take a couple of weeks to perfect when practiced regularly. 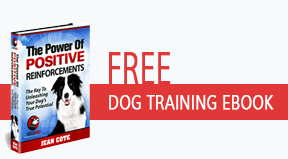 Dog trainers love this trick because it’s extremely useful to use before training sessions. Most dogs make a snuffling noise when they become excited. It’s not quite a sneeze and most often occurs when you have one to one contact with your dog. This sound is best described as laughter. The trick of asking your dog to laugh is wonderful to witness because you can really tell that he is having fun. Play with your dog until he becomes excited and when he makes even the slightest snuffling sound then reinforce it and reward him. Practice and add your command word. Top tip; most dogs laugh when spoken to in an excitable manner, if your dog is not amused change your pitch to make him giggle. Dog trainers love this trick because it’s unusual and wonderful to see a dog laughing. A dog that smiles is funny and incredibly cute. Some offer a submissive smile naturally which is easy to reinforce. The important thing about this trick is to recognize your dog’s individual smile and shape it with reinforcement. This is a trick to teach as an opportunist. Carry some treats and reinforce your dog each time he shows his teeth when excited. Some lift their lips obviously and others just show their bottom teeth. Choose your dog’s nicest smile and reinforce it as often as possible. Add the command word to the behavior and although it may take a few weeks of opportunity based training your dog will soon be smiling on command. Top tip; Do not rush this trick, you will need to reinforce the natural behavior when it occurs for the best result. Dog trainers love this trick because it can be a challenge to teach, and dog trainers love a challenge. This is one of the most endearing tricks which your dog can learn and perform. He will approach someone gently and place his head in their lap or on their leg. Offering friendship as only a dog does. This is an easy trick to teach as gentle physical contact usually comes naturally to a dog. When he lowers his head onto your lap reinforce and reward the behavior and add the command word. Now ask a helper to call him to them and say the command, then you reinforce and reward him if he does the trick correctly. Top tip; if your dog does not relax his head into your lap you can tap your leg where you would like him to lay his head, he will get the idea quickly. Dog trainer’s love this trick because it encourages gentle greeting from even the bounciest of dogs. Every dog should be able to fetch his leash when asked. In fact if you teach this trick to your dog don’t be surprised if he fetches it whether he has been asked or not. The first thing your dog must learn here is to pick up and carry his leash. You can either target him to it by reinforcement and reward or play games with it where you play tug of war together. Each time your dog has the leash in his mouth reinforce and reward him. Introduce the command word and practice until he picks it up on command. Now place the leash across the room and send your dog to fetch it, and then simply progress from this so that your dog is happy to travel further for his leash and confident enough to bring it back. Top tip; It is better to use a leash made from soft material for this or at least tie some material around it to make lifting and carrying easier for your dog. Dog trainers love this trick because it is classic and never ages.